As we advance into a fully digital world, traditional brick and mortar stores and services are not left out, there are lots of software for managing various types of businesses and salons and not left out. Salon software help Salon owners and staff provide better, faster and easier services to their clients, they also help in the management of the business with accounting, marketing, inventory management and many more features. This is a list of the top ten best salon software in 2019 based on aggregated user reviews gotten from various software review websites, the list is arranged in no particular order. Vagaro offers cloud-based salon software with additional spa and fitness management solutions, it also provides business management features such as appointment booking, staff role management and more. Additionally, Vagaro allows customers locate your salon closest to their location and book appointments online. The Vagaro software is available online and as an Android and Ios app. .
Rosy Salon Software provides salon and spa management solutions to small and medium sized businesses to help improve customer engagement, customer service and appointment scheduling. Rosy Salon Software allows salon owners network with beauty product producers and distributors as an added service. Rosy Salon Software is web based and also has mobile apps for easy access. Insight also provides features for tracking client’s special occasions such as birthdays and anniversaries. Shedul is suitable for hair salons, beauty salons, massage parlors, spas, saunas, gyms and more. Salon Iris provides on-premise management solutions for salon and spas; it is available as a Windows OS app and supports Windows 7 and higher OS. Salon Iris also offers mobile apps which enable users set and view appointments, accept payments and manage products. Salon Iris provides monthly based pricing and onetime payment options. The company provides email and phone support to users. Versum operates a monthly pricing model and provides email and phone technical support. The Salon Ultimate software is available online and can be accessed through smartphones, tablets and PCs with an internet connection. Acuity Scheduling provides appointment management solutions for small and medium sized enterprises in a wide range of industry verticals. It works as a good Salon and Spa Software as well as for fitness centers, training centers, health clinics, photography studios and other service based companies. Acuity operates a monthly subscription based pricing model and a free basic starter plan. Booksteam is a cloud-based software and can be accessed on any mobile device or laptop with an internet connection. Shedul: This software is rated very high by most of its users. It is 100% free with no limits or trial period. Its features include salon booking via website and Facebook, auto personalized appointment messages, POS, barcode scanning, rebooking, reporting and access control. 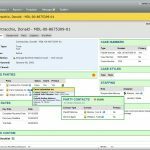 MyCuts: Is free for up to 25 clients after which users have to upgrade to the paid version which allows unlimited clients, its features include automatic reminders, customer history, inventory tracking, search functionality and more. Reservio: This app offers a free basic plan for a limited number of users, its features include automatic notifications, calendar management, API access, customer database, data import and export, third-party integration, reporting and analytics. Salon Monster: Offers a free plan for a maximum of 50 clients and 1 member of staff, its paid plans allow for unlimited clients. Features include automatic reminders, customer database, POS, customer history, sales reporting and other statistics.